Can Australia be 100% powered by renewables by 2030? A new report from the University of Technology, Sydney (UTS) & The Institute for Sustainable Futures (ISF) says "you bet!" Over the last weekend I was extremely lucky to be involved in one of those "wow" projects that only come along once every blue moon. It wasn't until I started really digging into the data I'd been sent, that the full gravity of it hit home. Long story short, 350.org and Future Super commissioned the Institute for Sustainable Futures (and yours truly) to build a report. 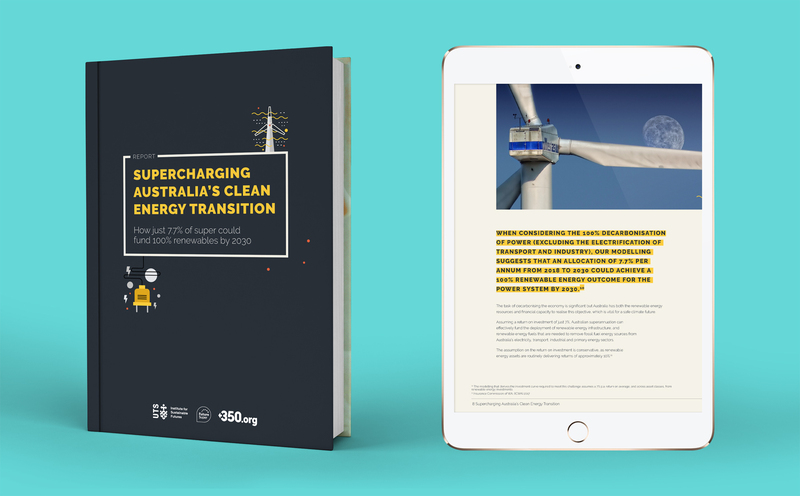 In that report, it states that Australia could be powered completely by renewable energy by 2030, with only 7.7% of everyday Aussies' superannuation funding it. My role was to design a report that would portray the data in a meaningful way that highlighted the importance of the content, whilst also ensuring it appealed to as many different people as possible. For those interested in the numbers, Australians have more money invested in their superannuation than our entire country's annual GDP. That's $2.6 trillion dollars... and this is projected to grow to more than $6.5 trillion by 2050! These are big numbers guys, but considering it will only take an investment of 7.7% to completely transition away from fossil fuels, it's a no brainer! Ok, so what can we do to fast track this? 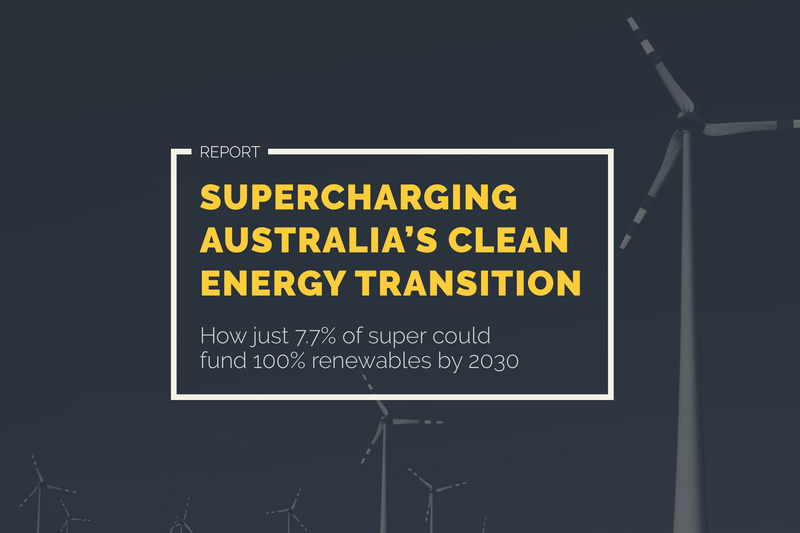 Future Super wants to double their investment in renewables ASAP. Future Super exists so you can invest your super in a better, fairer, renewables-powered future. Notably, they were the first fossil fuel free fund in Australia and continue to lead the way in ethical investment. I've been a customer for around 2 years now and I'm never looking back. You can download the report over at the UTS website. Based in Sandringham, Victoria, we're a design studio with a difference â€” we fix your business problems with research, critical thinking and creative flair â€” all while making the world a better place!